Early Morden developed around twin nuclei: St Lawrence church (and later Morden Park House) in the south-west and Morden Hall (shown in the photo­graph above) in the north-east. Morden had been under the control of Westminster Abbey throughout the Middle Ages but it gained a resident lord of the manor in 1553. Richard Garth built Morden Hall and his descendants lived here for three centuries. St Lawrence church was rebuilt in 1636, probably around the skeleton of a much older building. The Garths built Morden Park House for John Ewart around 1770. Gilliat Hatfeild, a snuff manufac­turer and would-be country squire, bought Morden Hall in 1872 and protected the neigh­bourhood from early suburban devel­opment. In 1905 Morden still had 632 acres of grassland, 255 acres of arable land and 33 acres of woods. When the Northern Line (as it is now) was extended here from Clapham Common in 1926, the 17 miles from here to East Finchley made this the world’s longest tunnel. A bus station opened the following year and extra services were soon laid on to try to divert passengers away from the already overloaded tube station. Tube fares were set low with the delib­erate intention of stimu­lating a housing boom in Morden and the plan worked. A whole new town grew up around the station, with shopping parades on either side of London Road. Semi-detached houses with sizeable gardens were the predom­inant property type, with mansion blocks on the main thorough­fares. In the late 1920s the London County Council command­eered 322 acres in the south-eastern corner of Morden for part of its St Helier estate. Gilliat Hatfeild died in 1941 and left Morden Hall Park to the National Trust; the hall itself presently functions solely as a wedding venue. 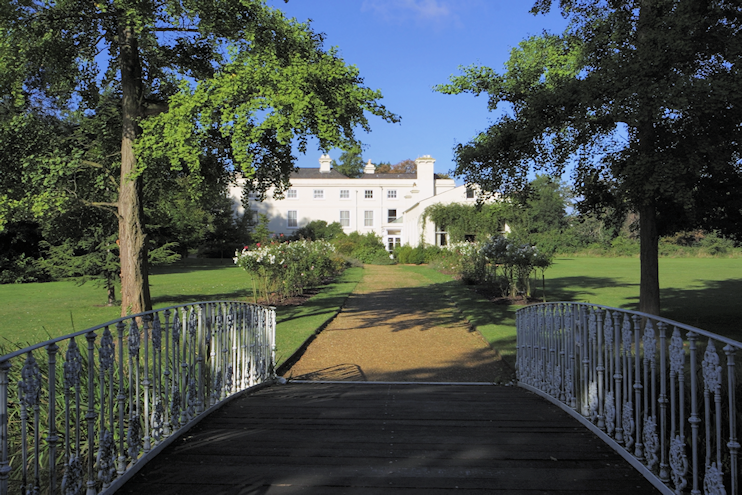 The council bought Morden Park in 1945, preserving 90 acres as open space and playing fields. 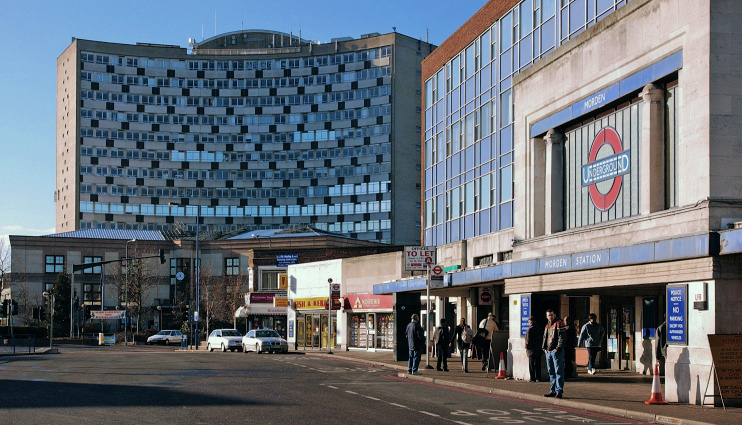 In the early 1960s an office block was added to Charles Holden’s station (shown in the photo­graph above, taken in 2007*) and the curved 14-storey slab of Crown House was completed, with an adjoining super­market that has since been supplanted by Merton civic centre and a library. Morden cinema was demol­ished in the late 1970s and replaced by shops and flats. Other early amenities have since gone the same way. Completed in 2012, a two-year project has trans­formed Morden Hall’s semi-derelict stable yard into the Livinggreen Centre, powered by solar panels, an air source heat pump, a wood-burning stove and London’s first Archimedes screw hydro­electric turbine, installed in the River Wandle. Highly credibly, the National Trust claims the visitor centre is the most energy-efficient historic building in the country. Morden Hall Park’s other attrac­tions include a grade II listed snuff mill and water­wheel, a riverside wetland area with ducks and herons and a garden in which over 2,000 roses bloom from May to September. * The picture of Morden Underground station and Crown House on this page is adapted from an original photograph, copyright Ian Howard, at Wikimedia Commons, made available under the Attribution-Share Alike 3.0 Unported licence. Any subsequent reuse is hereby freely permitted under the terms of that licence. The photograph of Morden Hall is copyright Hidden London.